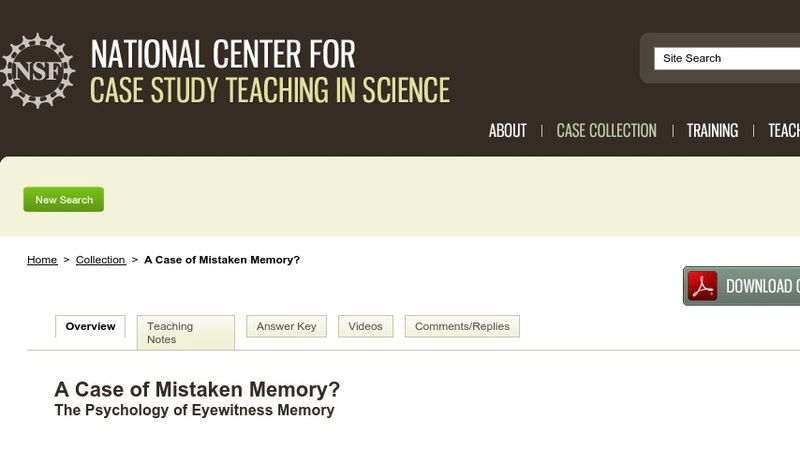 This case explores the fundamental principles of memory, eyewitness accuracy, and police questioning techniques in witness identification in a criminal case. By studying the details of an actual series of attacks and the subsequent police investigation, students learn that memory is a reconstructive process rather than an accurate recording of events. The case has been used in an undergraduate introductory psychology course and in a course on psychology and the law. It could also be used in a cognitive psychology course.